Supermodel, sculptor, set-designer artist, and a muse of many, Rachel Feinstein has conquered several aspects of the creative industry. Mrs. Feinstein (married to artist John Currin) has now become an even greater cultural international sensation, with her FIRST US public art installation, in New York City, Folly. 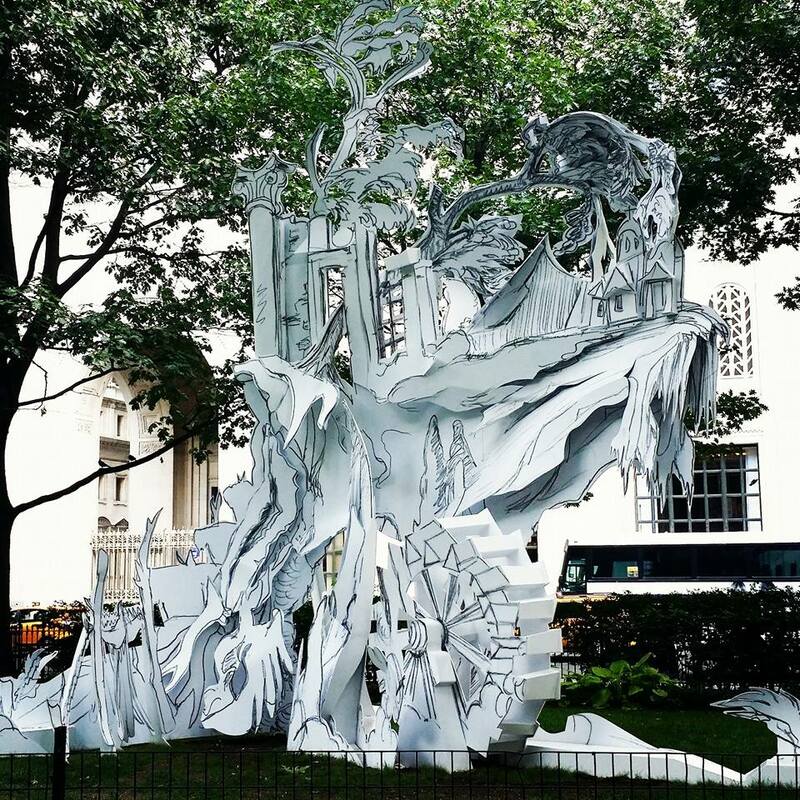 Feinstein’s latest creations can be found in Madison Square Park. These whimsical like set pieces, reminiscent in construction to the set designed for Marc Jacobs for his Fall/Winter 2012 show however, smaller, brings a fantastical sense to the hustle and bustle of the Big Apple. What appear to be cardboard cut-outs with hand drawn accents, these site-specific sculptures are contoured aluminium panels concealed with vinyl decals with graphite like doodle accents. These hand-like touches, to me, can develop a more personal connection between the viewer and each sculpture. Look at these non-functioning architectural fairy tale esque works and imagine them as drawings in a book you read as a child. Think Anastasia, Cinderella, Snow White, maybe even Alice in Wonderland – and now put a Rococo and Baroque twist on them. While these are not her references – these are what I recall. “Flying Ship,” “Rococo Hut,” and “Cliff House” are the titles of the three works that you can find staged in the park until September 7th. 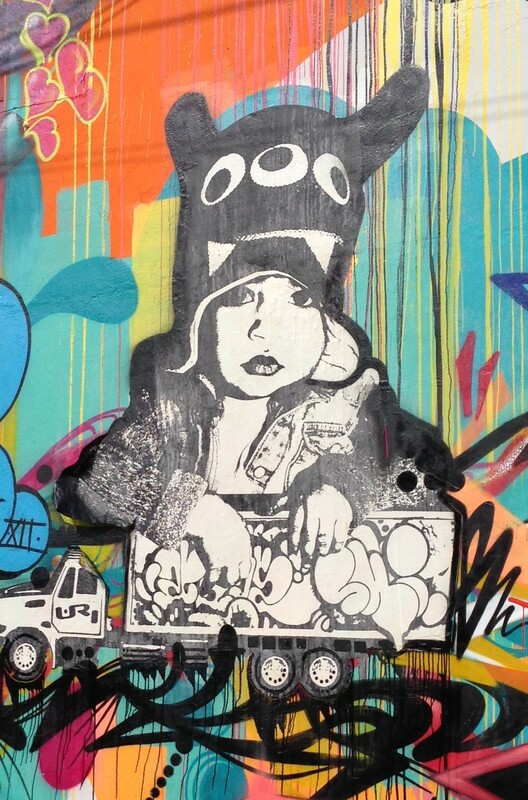 We highly suggest you see these before they are taken down!